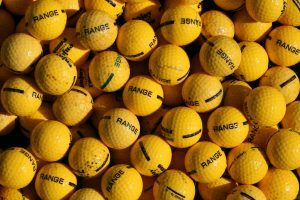 It’s difficult to find the best ball when they’re all described by the same word. There’s a word that organizations commonly use to describe themselves. Ironically, it delivers the opposite of its intended effect upon the reader. Its mere presence immediately reduces the organization using it to the mediocre level of any organization in any industry. It destroys all differentiating statements made previously. You’ll find the word inhabiting the boilerplate biography at the bottom of almost every press release you’ll ever read. It also appears on website About pages. There are better ways to indicate an organization is the very best at what it does, which is why I don’t use this word when writing corporate descriptions. Yet some executives have demanded I insert it. Perhaps they’re unaware using the word in that context delivered the opposite of their intended effect. Or perhaps they wanted their organization to look no different from any other. Insecure about your position in the industry. Willing to tell falsehoods in your communications. Following what everyone else in every industry is doing. Trying too hard to be something for which no one has yet recognized you. Boring your intended audience with the same old krap everybody else uses. Dishonorable mention to synonyms premier, primary, principle, main, key, and foremost. You’re admitting you’re not the leader… you’re merely a leader, as in yet another leader. How many leaders can one industry have? Politicians and bureaucrats hide behind definitions… and so do the kind of business people who give all business people a bad reputation. If the only way you can be the leader is to narrow the definition until you’re the lone player on that field, your customers will eventually realize you’re no leader. They’ll also examine everything else you say. You’ll never see true industry leaders – for example Microsoft or IBM – claim they are leaders. That’s because they ARE the recognized leaders and don’t have to say so. If you’re NOT recognized as the industry leader, claiming you are makes you look as insignificant and inferior as everyone else. If you truly are the leader, everybody already knows it. Saying so is unnecessary and churlish. If you are not the leader, claiming to be the leader ensures you are the same as every less-than-average organization making the same false claim. It’s also a lie. While it might make you feel good to say, prospective customers will wonder – if you’re lying about that, what else are you lying about? Therefore, there’s NEVER a time to claim you’re the leader. Please stop now. Thank you. You can share your thoughts where this article appears on LinkedIn.